Product #12276 | SKU 0370-400-000 | 0.0 (no ratings yet) Thanks for your rating! The Pelican 0371 Foam Set is a 7-piece replacement foam set for the Pelican 0370 Cube Case. It consists of one convoluted top lid foam, 1 solid top lid foam, four centre foam sections and one bottom foam base pad. 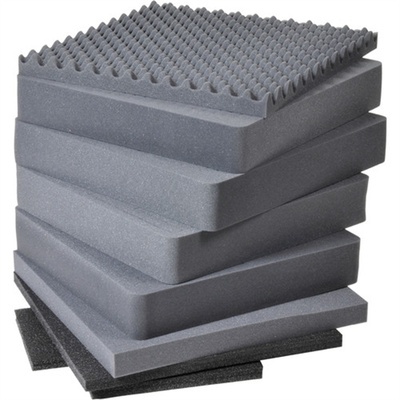 Seven piece replacement foam set that consists of one convoluted top lid foam, 1 solid top lid foam, four centre foam sections and one bottom foam base pad.